Navage Nasal Care Saline Nasal Irrigation w/18 Navage SaltPods NEW, SEALED! 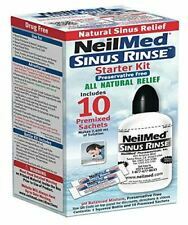 NeilMed Sinus Rinse Starter Kit Sinus Rinse is a natural soothing saline nasal wash. A large volume low positive pressure nasal wash is the most effective way to irrigate the nose based on current medical studies. Daily rinsing is safe and will keep your nasal passages clean, healthy and open. It is available in isotonic, paediatric and hypertonic concentrations. Gönnen Sie darum Ihrer Nase eine Erholungspause und befreien Sie die Schleimhäute von Verschmutzungen. Mindern Sie die Angriffe auf Ihre Nase und reduzieren Sie Schwellungen bei Pollenallergie oder anderen Allergenen. Neti Lota per Irrigazione Nasale Ceramica - Doccia Nasale Ayurveda - 180 ml Neti Lota si utilizza per l'irrigazione nasale e la disinfezione delle cavità nasali. Igenico e compatto, capacità 220 ml, il nostro neti pot è registrato come dispositivo medico CE di classe 1. Materiali - 100% Naturale Provenienza - Hong Kong L'antica tecnica di irrigazione nasale si chiama Jala neti, fa parte della tradizione dell’Hatha Yoga ed è tutt’oggi consigliata non solo per mantenere pulite le cavità nasali ma anche per riequilibrare le Nadi (le vie attraverso cui passa il Prana, l’energia) e avere così ulteriori effetti benefici sul corpo (in particolare occhi, orecchie e gola) e sulla psiche favorendo una maggiore chiarezza mentale. Neti lota per Irrigazione Nasale in Rame - Doccia Nasale Ayurveda - 200 ml Neti Pot è una pratica ayurvedica che si utilizza per il lavaggio e la disinfezione delle cavità nasali. La tecnica di pulizia del naso si chiama Jala Neti, fa parte dell’antica tradizione dell’Hatha Yoga. Si tratta di una tecnica antica per lavare le cavità nasali e per pulire e disinfettare le vie respiratorie da tossine accumulate e generate da inquinamento e processi interni al nostro organismo. Ideale per il drenaggio dei seni frontali e per pulire le vie respiratorie dall'inquinamento atmosferico e dal muco portando un benessere psico-fisico a tutto l’organismo. La forma rende facile l’uso, permettendo un ottimo flusso dell’acqua. 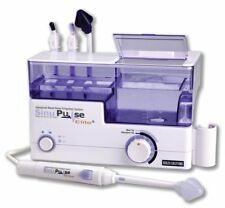 Nasal irrigation is a proven technique that has been used for centuries, but is now being brought up to date with the revolutionary SinuPulse Elite. Safe, simple and easy to operate, the SinuPulse takes only a few minutes to use. Compact Design Allows Convenient Storage. Very effective and simple to use, the Neti pot only needs salt and lukewarm water to give you fast relief. Those suffering from pollen and dust allergies may in many cases reduce their symptoms by practicing nasal cleansing. NATURAL SINUS RINSE. 1 SINUS RINSE BOTTLE - 3 BOTTLES TOTAL. EACH BOX INCLUDES EXPIRES (1) 04/2020 & (2) 12/2020. Stop putting up with your irritated nose and sinuses, and get the relief you deserve with Xlear 45mL Nasal Spray. Have you noticed it's always either allergy season or cold-flu season?. We don?t get a break from the attack on our bodies. L’uso del Neti pot è un modo semplice ed efficace per pulire le cavità nasali. Nelle tradizioni ayurvediche, la pulizia del naso viene chiamata. Jala neti e fa parte della routine quotidiana della cura del corpo. 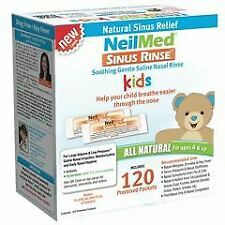 NeilMed Sinus Rinse Soothing Saline Nasal Rinse for Kids - 120 premixed sachets refill pack Soothing Gentle Saline Nasal Rinse All Natural For ages 4 and up Help your child breathe easier through the nose For Large Volume & Low Pressure Saline Nasal Irrigation, Mositurisation and Daily Nasal Hygiene. 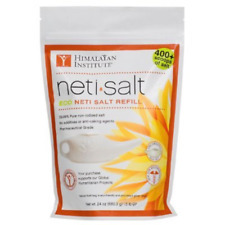 If you want the best quality at a reasonable price, choose NetiHealth. We have been in this industry from the very start, over a decade now. Our Neti pots are designed to be safe, simple and comfortable to use. Daily rinsing is safe and will keep your nasal passages clean, healthy and open. Sinus Rinse™ is excellent for all ages. · Sinus Pressure & Nasal Stuffiness. · Nasal Allergies, Dryness & Hay Fever. Adults need to understand the procedure first before using it on their children. If your child is less than twelve years old, you should consult your child's physician before using this product. CAUTION: Rinsing your nasal passages with only PLAIN WATER will result in a severe burning sensation. Knowing which branch of yoga you should attempt is vital towards having yoga help solve what ails you. Yoga DVD Training Course. Easing Your Stress With Yoga Will Help You Change Your Life For The Better In So Many Positive Ways. Simply Pilates book and DVD. Condition is New. Ceramic Neti Pot. Himalayan Institute. 2.7g salt fit for 300ml bottle. Make sure water tempeature is around 37℃. Inverted bottle and press the valve, mouth slightly open. Breath through the MOUTH. DO NOT hold your breath.Rinse solution will enter the nostril and bathe the nose and sinus and exit the other nostril. CLEANSING NASAL CAVITY: Nasal Wash Pro is designed based on human nasal internal physiological structure characteristic. For your health, experts suggest to clean the nasal cavity regularly. Nasal Wash Pot is designed based on human nasal internal physiological structure characteristic. NeilMed SINUS RINSE is an easy squeeze bottle system that allows you to deliver the saline solution with positive pressure to clean the nasal passages thoroughly, while maintaining your head in an upright position. You have complete control of the pressure and volume of solution, ensuring a gentle, soothing and therapeutic experience. Daily rinsing is safe and will keep your nasal passages clean, healthy and open. 1 NET POT - 2 NETI POTS TOTAL. EACH BOX INCLUDES EXPIRES 04/2019 & 10/2020. Continue to keep your child's nose clean and clear with the CLEARinse Nasal Cleaning System Saline Ampoules, 50 count. These saline ampoules are designed to be used to refill the CLEARinse Nasal Cleaning System when all the saline ampoules are used. PAIN RELIEVER & SOOTHING AGENT. Beneficial for quick relief of joint pains, muscles, nerves. Best before end APRIL 2019. Each 100 gms contains INERT BASE Q.S. CHINACK 8.00 gm. Das Öl wird als Nasentropfen verwendet. Shadvindu Nasya. Anwendung Shadvindu Beruhigung bei Niesreiz. Morgens und abends liegend auftragen. (Maximale Dosierung: 6 Tropfen jedes Mal pro Nasenloch). YOGA BLISS TM. LUCKY DIP RAINBOW MIX COLOURS. 20 x EYE PILLOWS. of the pillow on the eye muscles is a subtle accupressure therapy to ease. Perfect to use for. What makes nasopure different?. Our patented Nasopure Bottles flushes the solution along the nasal floor, resulting in a comfortable and soothing experience, avoiding the common complaints of irritation and drowning sensation. Cold-like symptoms and allergies are possible consequences. PARI MONTESOL Nasal Wash Device. Compact, convenient nasal douche that allowas you to gently and effectively clean your nose with the PARI MONTESOL nasal solution. COMPATIBLE WITH ALL NETI POTS AND SINUS RINSE BOTTLES - There are countless neti pot and nasal & sinus rinse variations available, but this is the only solution that contains CHITOSAN. Increase the effectiveness of the neti pot or sinus rinse bottle you already have by using ChitoRhino Nasal & Sinus Refills and enjoy clean and clear breathing! 1 CLEARINSE SYSTEM. CLEARINSE HANDLE. MODEL: #0010. 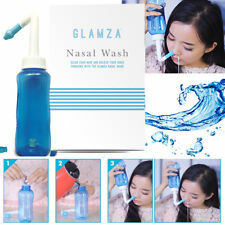 NASAL CLEANSING SYSTEM. (10) 3cc SALINE AMPOULES. Sinus infections. rhinitis of pregnancy. BREATHE XPERTS. NASAL IRRIGATION KIT. 1 IRRIGATION BOTTLE (250 ml / 8.45 FL OZ). RINSE & RELIEVE. ALL EXPIRE 03/2020. XLEAR Sinus Care Rinse System - Exp. XLEAR Sinus Care Solution is NATURAL & DRUG FREE. (1) Free Xlear nasal spray sample. Who Should Use Xlear?. (1) Sinus Rinse Bottle. People with seasonal sinus issues. I bought this kit and I never opened or used it. Retails for $4,500. Brand new Neobiotech Sinus All Kit! This kit contains: 1 aspirator, 7 filters and 1 netted carrying bag. The unit is sold as is and no warranty is provided. 2.7g per bag nasal wash salt ,30 bags in one box. 30 x bags nasal wash salt. Sinus Rinse. Sinus Relief. Nasal Rinse. All Natural.